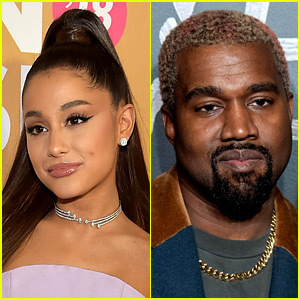 Ariana Grande has tweeted an apology to Kanye West after he said her joke about him took a toll on his mental health. The 25-year-old singer took to Twitter this week to weigh in on Kanye‘s feud with Drake, minutes before her new song was released. Kanye later accused Ariana of using him to promote her song and then went on a rant about his mental health. “with all due respect, i don’t need to use anyone to promote anything. period. i was making a comment ab what men were doing at the time vs. women. it was a joke which i understand now was probably insensitive. i apologize if i was in any way triggering and hope u feel well today,” Ariana wrote on Twitter on Saturday morning (December 15). with all due respect, i don't need to use anyone to promote anything. period. i was making a comment ab what men were doing at the time vs. women. it was a joke which i understand now was probably insensitive. i apologize if i was in any way triggering and hope u feel well today. for potentially triggering him? nah regardless of how i feel about a situation, i can also care about their mental health. anyway i hate the internet so much. sending love. but like bye.